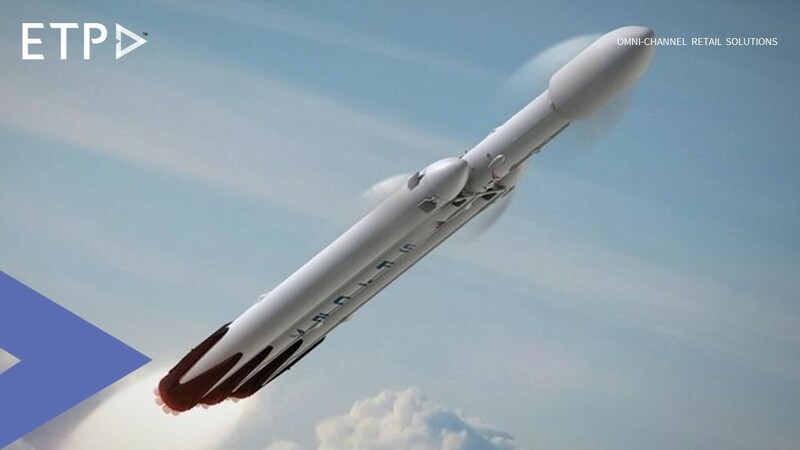 US entrepreneur and CEO of SpaceX, Elon Musk has successfully launched his new rocket, the Falcon Heavy, into space from the Kennedy Space Center in Florida and set the Tesla Roadster car into space. This would go into the history books as one of the biggest and most influential achievements by man. From the same pad where NASA launched rockets that carried astronauts to the moon, a big, new American rocket called the Falcon Heavy, built by SpaceX, the company founded and run by the billionaire entrepreneur Elon Musk was launched successfully into space. The Falcon Heavy is capable of lifting 140,000 pounds to low-Earth orbit, more than any other rocket today. Because the boosters are to be recovered to fly again, a Falcon Heavy launch costs not much more than one by the company’s existing rocket, Mr. Musk said. SpaceX’s Falcon Heavy is estimated to cost $90m per launch; Nasa’s planned SLS rocket, a comparable system, is expected to cost about $1bn per flight. Retail businesses must look to be different than their peers and be able to create experiences that are different, not only from their competitors but also different for every customer, making it more personalized and customized for them. Mr. Musk estimated that his company had spent more than half a billion dollars on Falcon Heavy and said that the program was almost canceled three times. It was billed as a risky test flight in advance of the lift-off. As the SpaceX CEO said the challenges of developing the new rocket meant the chances of a successful first outing might be only 50-50. Retailers should not shy away from the risks that can manifest themselves while considering important technological transformations such as omni-channel, mobility and so on. They should be ready for that risk and be prepared for failures and then learn from these. Since 2010, SpaceX has been sending the smaller Falcon 9 rocket into orbit, deploying satellites and carrying cargo to crews aboard the International Space Station. The company has disrupted the global launch business with its lower prices and reusable boosters. However, taking the disruption further, the success gives SpaceX momentum to begin developing even larger rockets. Retail businesses must look at trying to get better and not be contented with a business that works fine. They should constantly endeavor to enhance their businesses progressively to succeed in the long run. The successful launch of the Falcon Heavy into space seems to be the step in the right direction to fulfill Mr. Musk’s dream of sending people to Mars. Retailers should always have the future in mind while doing business and setting goals that may seem to be big and unattainable. With that said, every effort to achieve these goals set in the future will help the retail businesses to proceed ahead. The success of launch of the Falcon Heavy is not the only historic achievement. This launch was historic in multiple other ways. For the first time ever, a pair of recycled boosters helped send a heavy payload to space. Only eight minutes later, those same two Falcon 9 side boosters returned and landed simultaneously at adjacent landing pads. This near flawless success is a major step toward cheaper, more frequent spaceflight, making it easier for governments and businesses to lift massive projects into space or set off on deep space missions. Retail business owners must look to become leaders and pioneers in the industry and thus become a benchmark for other businesses not restricted to retail. This will help them achieve that status and stature which will be an example for others to egg and imbibe.